At Beha Cleaners, we care about our customers and the environment. We are determined to do our part for you, our community, and the earth we share. That's why we use an environmentally-friendly cleaning technology; offer re-usable garment bags instead of single-use plastic bags; and recycle hangers. 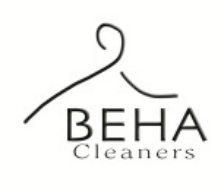 Beha Cleaners has always been known as the place to go for your one-of-a-kind garments as well as your everyday items. That tradition continues today as we celebrate over 106 years serving the Louisville Metro area. We offer the best quality, service, and value for everything from your everyday cleaning and laundry to the your finest, special-occasion garments. We welcome the opportunity to show you how we can make you Look Good and Feel Great!